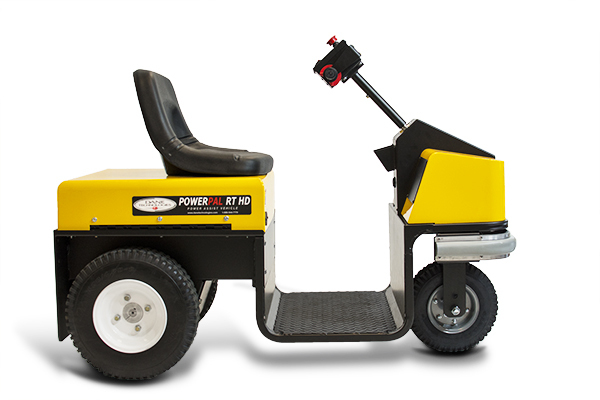 The PowerPal RT is a compact, powerful, and versatile ridable tug built for indoor or outdoor use, where maximum range and power are required. Built on the proven and dependable PowerPal drive system, and capable of towing up to 20,000 lb (9,071 kg), the RT is configured as either a seated or stand-up model. With a wide variety of hitching options and configurations, the PowerPal RT is the ideal solution for flexible, high-capacity towing in a ride-on configuration. 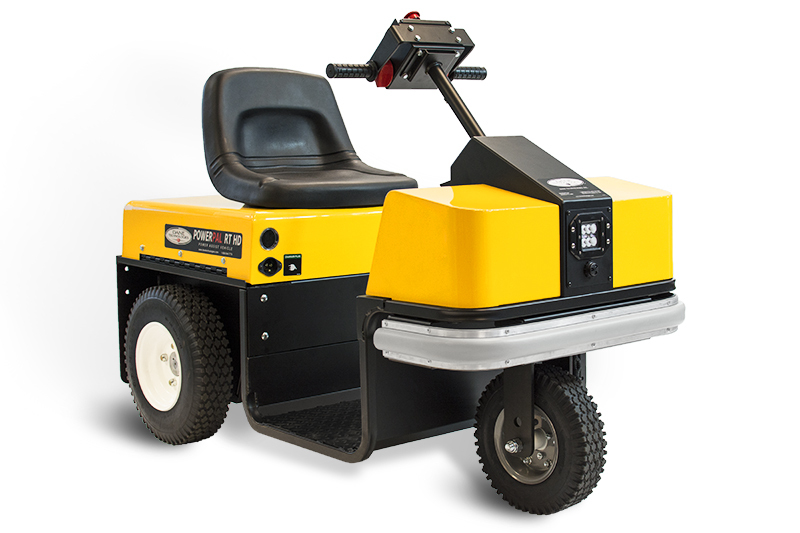 Heavy-duty design enables you to push or pull the heaviest carts, trailers, — or any wheeled load safely and easily. Increase productivity and prevent injury with high capacity ride-on towing and built in safety features. Hitching options, custom features and stand-on configuration allow you to customize your RT for your specific application.